I spotted a free Kindle book available today on Amazon: An Easy Guide to Meditation by Roy Eugene Davis. 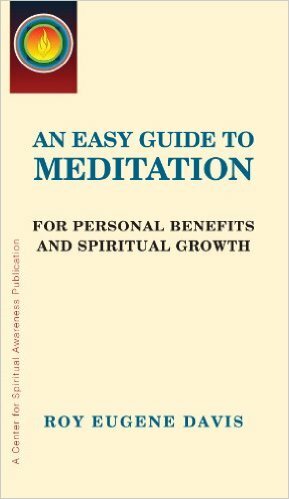 This is an easy and quick read for anyone interested in starting a meditation practice. The book covers what meditation is all about and how a regular practice can be beneficial to the body, mind and spirit. You don’t need an Amazon Kindle to take advantage of this free offer. You can download Kindle books to your iPhones, select Blackberrys, Droids, iPads, Macs and PCs. Remember Amazon prices change often. Make sure to double check that the price is still showing as $0.00 before you download. This entry was posted in Conscious Living, Freebies, Inner Reflection, Meditation and tagged Free, Kindle book, Meditation, Roy Eugene Davis. Bookmark the permalink.